The truth of the matter is that all of us have “Blind Spots.” These Blind Spots are areas that we are usually unaware of, and they can be counterproductive to our success. No matter how great our aptitude, abilities or leadership skills, there are always areas that need improvement. Yet identifying those Blind Spots that require development isn’t always easy. Part of our problem is that we don’t take time for introspection which is fundamental to obtain an Accurate Self-Assessment. After all, our lives are busy with work to accomplish, emails to read, financials to be addressed, appointments that must be kept, a personal life to live—just to list a few! Life is demanding, especially for leaders in any Corporate Family® setting—but as the famous psychiatrist Carl Jung suggested, the process of mindful self-examination is the launchpad for successful completion of our plans and dreams. At LEADon®, we explain that this introspection, or Accurate Self-Assessment, is one of the twenty-five characteristics that comprise Emotional Quotient (EQ). Obtaining an Accurate Self-Assessment involves the identification of our individual strengths and weaknesses. Indeed, being able to accurately assess our own aptitude and ability is at the core of emotional competency. LEADon® isn’t alone in the belief that emotional competency is essential for all leaders who desire to be exceptional. According to Aviles & Dent (2015), “heightened individual and organizational awareness and understanding of the environments in which they operate are important to meet the challenges of global complexity and uncertainty, especially as it pertains to change and organizational transformation” (for more of their findings, read “The Role of Mindfulness in Leading Organizational Transformation: A Systematic Review” in The Journal of Applied Management and Entrepreneurship). If an Accurate Self-Assessment holds such powerful potential, how can busy leaders initiate the process of correctly evaluating themselves—especially when human nature tends to lull us into the delusion that we are sufficiently self-aware? First and foremost, leaders at any level of an organization can take LEADon’s® Developing Emotional Competency Questionnaire® (DECQ®) to determine their individual strengths and weaknesses in all twenty-five characteristics of EQ. Once this thirty-minute online assessment is completed, a detailed report will be sent via email. The DECQ® is a valid and reliable tool for anyone desiring a precise assessment of vital leadership skills, and it can also be utilized by teams and entire organizations to identify team/corporate strengths and weaknesses. After completing the assessment, you can also take the Developing Your EQ to Improve Your Emotional Competence® course online. In this course, you will find specific strategies for improving your skills in every one of the twenty-five EQ characteristics. In addition, you will discover that these leadership strategies are applicable to both your personal and professional life (go to www.LEADonUniversity.com for more details on how to get the DECQ®, LEADon® courses, and other leadership resources). As you consider where you are in the Accurate Self-Assessment continuum, be mindful of another insight from Dr. Jung: “We cannot change anything until we accept it.” Recognizing the need for an Accurate Self-Assessment and then accepting the findings of that assessment are the initial steps toward transformation—which is positive, permanent change. Once a self-assessment is taken using a metric like the DECQ®, you can move forward by intentionally applying LEADon’s® time-tested strategies to your personal and professional life. And, finally, you will then be able to cascade these invaluable leadership skills to others in your sphere of influence. 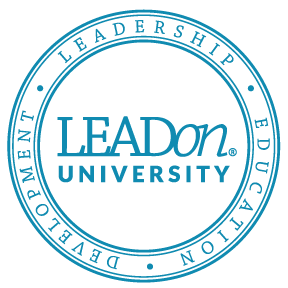 If the team at LEADon® can support you and your Corporate Family® in your leadership journey, please contact us at www.LEADonUniversity.com or 858.592.0700 for more personal assistance.